Actor Alec Bladwin appears to have done it again. 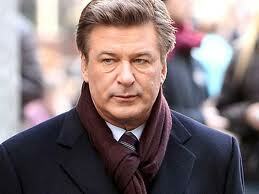 TMZ is reporting Baldwin got into another fracas with a photographer. TMZ has the VIDEO of Baldwin once again losing it with a photo-journalist. WOW, one of these times this guy is just going to totally lose it. Baldwin is a bomb just waiting to go off. Alec Baldwin got physical with ANOTHER photog in New York City moments ago … verbally blasting the guy in the middle of the street, squeezing his arm and ordering him to scram. It’s unclear what touched off the aggressive confrontation … but we do know the paps have been following Alec all over the place since the infamous shoving incident at the court house last week. It was just a couple of weeks ago that Alec Baldwin had punched a photographer outside of a Manhattan marriage license bureau. I don’t like Alec Baldwin but I can’t blame him at all for losing his cool with the paparazzi. They’re the lowest level of scum of humanity.